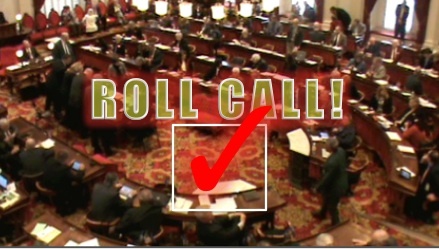 H.911 – AN ACT RELATING TO VERMONT’S PERSONAL INCOME TAX AND EDUCATION FINANCING SYSTEM. Purpose: This bill “proposes to make numerous changes to Vermont’s personal income tax and its system of education financing,” including setting the property tax rates to pay for K-12 education. Also folded into this bill was an attempt to mitigate the impact of changes in federal income tax law on state income tax law that would have resulted in Vermonters paying roughly $30 million more in income taxes. Education Financing Changes. Towns approved $1.647 billion worth of K-12 spending for FY19, which represents a 1.8% increase in spending over FY18. H.911 sets, for Property Tax purposes, the “property dollar equivalent yield” at $9,863.00 and the “the income dollar equivalent yield” at $11,920.00 for residential property. For non-residential property it sets the rate at be $1.606 per $100.00. These numbers represent 2.6¢ and 5¢ per $100.00 increases respectively, for a total property tax increase of $33.4 million. The bill also eliminates the General Fund transfer to the Education Fund, but allocates all lottery money, 25% of the room and meals tax, and a portion of the sales tax to the education fund. Income Tax Changes: H.911 decreases the number of income tax brackets from 5 to 4 (the top two brackets are merged into one), and lowers the rates to 3.35% , 6.60%, 7.60% and 8.75%. It implements a state standard deduction that mirrors that adopted by the federal tax code for 2017, and caps charitable contributions at a 5% deduction or $20,000, whichever comes first. It reduces the tax on Social Security income for individuals earning under $55,000 (totally eliminates under $45,000) and married couples earning under $70,000 (totally eliminates under $60,000).